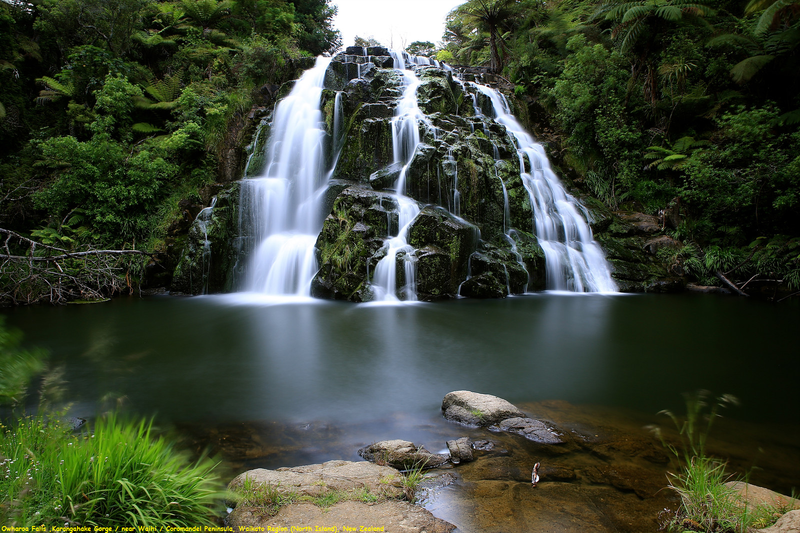 Owharoa Falls is an attractive waterfall . Not only this waterfall possess a fair-sized drop at around 10-15m or so, but it is also wide and have a trapezoidal shape to complement the underlying ripplying texture that yielded this character. In addition to its attractiveness, the falls would also make a nice swimming hole to cool off if it would get hot here. The falls is nestled within the Karangahake Gorge, which is known for old gold mining sites as well as the nature of the gorge itself.